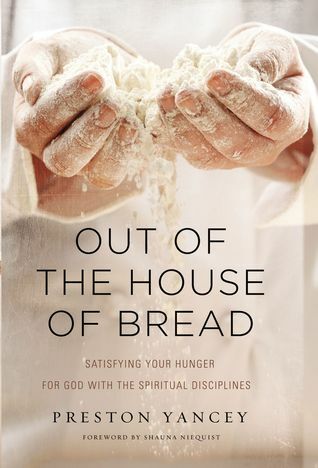 Now that I’ve written a more literary review of Out of the House of Bread, the latest book by Preston Yancey, you all might be curious to learn why it inspired me to bake the same bread recipe nine (9!!!!) times. Obviously, I like a challenge. I bake bread most weeks; I would say I average a loaf a week at least. I feel pretty confident as a baker. But as good as any baker can be, I also know that you can’t really get a feel for a recipe if you only make it once. I think this can only happen successfully if you bake a recipe a minimum of three times. You have to get inside the head of the recipe writer, and get a sense of what they want out of the recipe. What are their preferences? What tricks and techniques have they picked up over the years? Why in the heck was that step included? Those are the things I think about when I read a recipe for the first time. Baking a new recipe is almost like dating, in a way. When I made Preston’s recipe for the first time, I was really confused. He has written the recipe for someone who has absolutely no familiarity with breadbaking, which was challenging for me to read because I wanted to skip over the parts about how to mix, how to shape, how to bake, etc. This led me into trouble because I would forget steps that turned out to be important. I’ve been baking bread for ten years and I’m a little ornery; justify to me why a step is necessary and I’ll do it. If it seems like a waste of time, I won’t. As you can see, it took me practically the entire nine attempts to reach a brokered peace with Preston’s methods. It was not a surrender – I brought several improvements to the table once I had a sense of the recipe. But this isn’t about me. It’s about the recipe, and there were several techniques that I used for the first time because of Preston’s book. Pure autolyse. Preston’s recipe calls for you to mix the flour and water together first and letting the dough rest for 15 minutes to get a good start on the gluten formation before adding the salt and yeast. This is a pretty typical step for bakers to use, but in doing it, I found that I liked adding the salt and yeast at the same time as I mixed up the dough. By separating the salt and yeast, I found it was easier for me to forget to add them at the end of the 15 minute autolyse period. Something else I discovered by separating out the autolyse step was that water temperature matters, even if you aren’t worried about killing the yeast. The first time I made this recipe, I misread it and added scalding hot water to the flour. This was a big mistake, as I later learned. The overheated water caused the carbohydrate molecule chains in the flour to absorb water and burst, causing the dough to take on an unpleasant gummy texture and very little gluten formation. Now I know that water temperature is important for making sure the dough comes together properly. Using a tupperware to proof yeast. Preston proofs his yeast, water, honey and sugar in a small lidded tupperware so that he can shake it up before adding it to the dough. I used it sometimes, but I didn’t find it particularly necessary. Using a couche and why a skin on your dough is a good thing. I will admit, I didn’t understand the appeal of couches or bannetons until testing out Preston’s method. And after one try, I was hooked enough to order two 1-lb bannetons. Not only do bannetons keep high-hydration doughs from flattening during the 2nd rise (which they do if left free-standing), but letting them rise in the refrigerator supplies just enough dryness to create a skin on the surface of the dough. I had always thought a skin would interfere with oven spring – after all, by hardening your dough’s crust prematurely, it couldn’t possibly expand as much, right? Well, yes, that is true – but by hardening the crust a little before scoring the dough, you are further emphasizing the point of the scoring – creating weak points in the dough where it can explode out in a controlled way. I found the light skin on the surface of the dough before baking made my scoring patterns look sharper and the oven spring look more intentional. By using the bannetons, my breads kept their rounded shape better and had a cool spiral pattern on top too. This technique was a total win. One last technique before I talk about baking is less a technique and more a tool recommendation from Preston. It’s a tool that I already knew about, but because of Preston’s use of bannetons I’ve brought back more regularly: scoring with a razor blade instead of a serrated knife. Since becoming a mom, I’ve switched from using razor blades to using a serrated knife to score my dough. Having razor blades around in the kitchen made me nervous. But with bannetons or couches, the dough goes directly from the couche, top side down, into the oven so it is right-side up again. Then you have to score it quickly while it’s sitting in a screaming hot dutch oven in a screaming hot oven. No sweat, right? I found getting the right angle to score directly across the dough with a serrated knife with enough force to be a challenge. So I decided to go back to razor blades. The first time I did this, I accidentally dropped the blade into the dutch oven, ha ha! But since then I haven’t had any problems, and I’ve been careful to store the blades up high in a cabinet when I’m not using them. With the razor blades, I can make deep cuts quickly and gently, and the blade doesn’t get stuck in the dough like serrated knife blades do if you even hesitate a little bit. 6. Finally, I really came to like Preston’s three-step baking procedure. It’s in three sets of fifteen minutes: First, bake the dough for 15 minutes with the dutch oven lid on at 500 degrees F. Then, bump the temperature down to 375 degrees F for 15 minutes. Then remove the lid and bake the final 15 minutes. I don’t know why I like it, but I do. Even though I didn’t end up baking it exactly as Preston specified each time, I think the lessons I learned by baking his bread nine times were more universal: there’s more than one way to make a loaf of bread, there’s always more to learn, and it’s good to slow down sometimes and really focus on one thing, experience it and letting it be your singular focus for a while. You might see all the posts I write and think I make new breads every time, but I have my handful of favorites that I make time after time, and I find joy in the familiar each time. I hope you enjoyed this post, and that it inspires you to take on a challenge in your life. It doesn’t have to be baking, but let me know in the comments if it is!